Do you have a Girls Weekend coming up? Looking for cute Girls Weekend Gift Ideas? This Girls Weekend Gift in a Mason Jar was such a hit with the ladies, and a fun twist on giving girls weekend gift bags. The best part was the matching pajama pants! This week has FLOWN by and I am having so much fun remembering the highlights from our girls weekend last weekend! We shopped, ate, shopped, ate and laughed. Yep, that pretty much sums it up. Oh, and then we wore matching pajama pants- compliments of me! Since the ladies that join in on the fun come from all over and I am local, I like to have a little something special for them when they arrive. This typically consists of a gift bag with snacks and treats. Well, this year, I wanted to think “outside of the bag” so I turned to my trusty friend- THE MASON JAR! Who wouldn’t love receiving a girls weekend gift in a mason jar? Especially when there are matching pajama pants for everyone to wear all weekend! Of course, anything in a mason jar is cute. Add cute fabric and it is just downright adorable. Then I just put all of the “ingredients” inside the mason jar. I filled each jar full of chocolates and a few things that you may need when traveling such as hand sanitizer and gum. Then I just cut some cute fabric from my stash to give the jars some fun color and personality. The best part? I found some super cute pajama pants at Old Navy. They usually have some great deals! I was pumped to find these on sale. The colors were perfect for my ladies and a nice spring girls weekend. We had fun sporting our matching pajama pants and these will be a great reminder of the fun we had this past weekend every time we wear them! 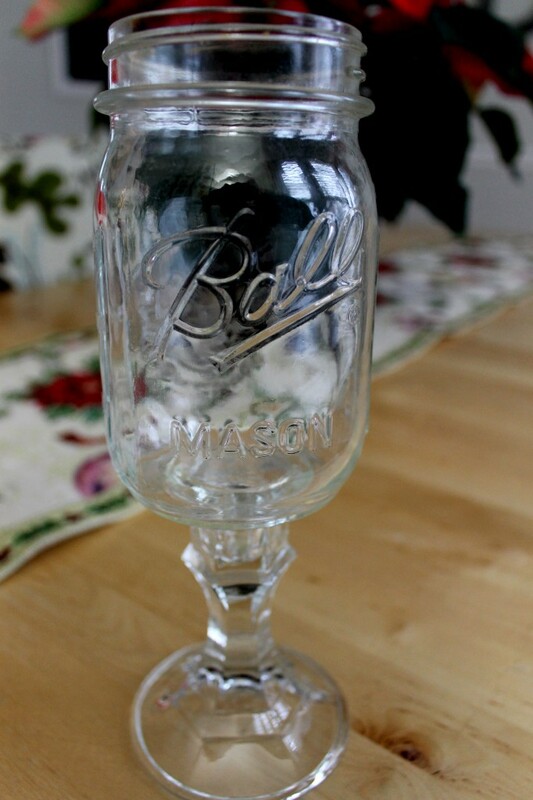 Click the image below to more fun ways to use the beloved mason jar! Wonderful idea! I'm going to file that one away! What a great idea, I love fun and creative gifts like this! Thanks for linking up with us at Best of the Nest! Thanks Jennifer! And thanks so much for the Best of the Nest feature! I adore these! What a perfect way to kick of a girls weekend! Thanks Kris! Yes, the girls were happy to have some goodies and we loved being silly in our matching pajama bottoms! Visiting from the Merry Monday Linky. Love this idea! Thanks for sharing. I'm going to put together something like this for my sister, mom and me on our upcoming getaway weekend. Pinned! Great idea! I would love it if you joined and contribute your awesome posts at my link party at City of Creative Dreams on Fridays 😀 Hope to see you there at City of Creative Dreams Link Party. That's super cute and I love the PJ pants. Love your blog and all of your projects. Thanks for linking up to Merry Monday Linky Party. I hope to see you again next week with another great project. Such a cute gift idea. I've been thinking a lot about teacher gifts and these would be perfect. What some ideas for items to put in jar?